On March 23, 2019, Romanian physicians and medical professionals around the world have the unique opportunity to learn more about the innovative pain management system known as the NGUI-MATRIX. The NGUI-MATRIX is a non-toxic and non-invasive pain management system developed by Grandmaster Stanley Ngui Hon Sang— a Canadian medical professional and Master of Qigong. Grandmaster Stanley Ngui Hon Sang will be speaking with Grandmaster Adrian Florea. Who Is Grandmaster Stanley Ngui Hon Sang? Grandmaster Stanley Ngui Hon Sang is a 23rd generation practitioner of traditional Chinese medicine and Qigong, as well as being a medical professional and presenter of innovative medical techniques like the NGUI-MATRIX non-invasive pain management system. Grandmaster Stanley Ngui Hon Sang is an experienced presenter and has presented for various coveted organizations including the World Organization for Natural Medicine. In addition to presenting his current, and past, innovations, he has also been recognized by countless organizations — including the title of Knight of the Sovereign Orthodox Order of the Knights Hospitaller of St. John in 2009. Currently, Grandmaster Stanley Ngui Hon Sang is a member of the Steering Committee of Integrative Medicine and the Chancellor for North America for the Orthomolecular Division of the World Organization of Natural Medicine Practitioners. The NGUI-MATRIX is a non-toxic and non-invasive pain management solution that can be easily implemented within the treatment regimen of medical professionals across the world. This innovative new system utilizes a number of different traditional Chinese medicine strategies, as well as medical techniques that Grandmaster Stanley Ngui Hon Sang has learned throughout his illustrious medical career. The Principle factors that are established within the NGUI-MATRIX framework embody Qigong and the movement of Qi throughout the body — traditional Chinese medicine techniques that allow for non-invasive pain management. Essentially, the ability to move, and redistribute natural body energy along the predetermined meridians in the body allow the administrator of the NGUI-MATRIX pain management technique to correct abnormalities in their patient’s Qi. The NGUI-MATRIX is not only a valuable treatment system because of its effectiveness in treating and managing pain, but it is also an excellent way for medical professionals to offer non-invasive pain management to their patients and clients. 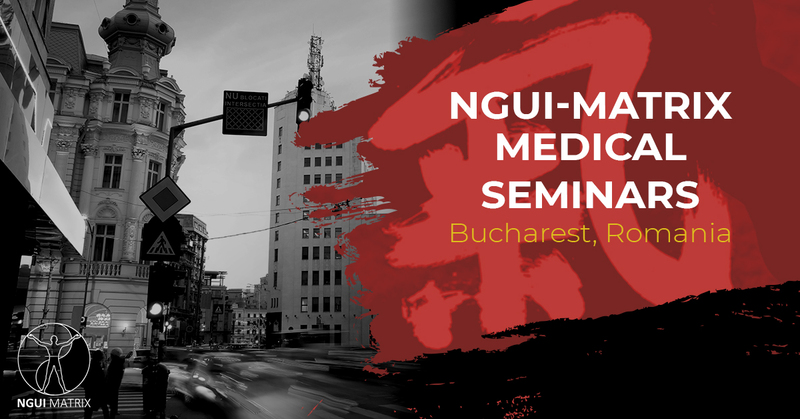 If you are interested in learning about, and how to administer, the NGUI-MATRIX treatment, we urge you to register for one of his upcoming speaking events — including is March 23, 2019 seminar in Bucharest, Romania. Are you interested in attending the upcoming NGUI-MATRIX seminar in Bucharest, Romania? If so, please pay close attention to the following information before you register. The seminar taught by Grandmaster Stanley Ngui Hon Sang will be held at the Ramada Plaza Convention Center in the heart of Bucharest. Located at 3-5 A Poligrafiei Ave, București 013704, Romania, the convention center is just a short 12-minute car ride from the Henri Coandă International Airport. Hotel rooms for the event can be reserved here. For € 350, or roughly 399 USD, you will gain entrance into the speaking event, free coffee, and a light lunch. The event will last the entire day, so please make plans accordingly. Calling medical professionals in Romania and all corners of the world. You don’t want to miss this exciting medical seminar featuring speakers Grandmaster Stanley Ngui Hon Sang and Adrian Floria. For more information on the NGUI-MATRIX, click here. We look forward to seeing you! For business inquiries for Grandmaster Stanley Ngui Hon Sang, click here.